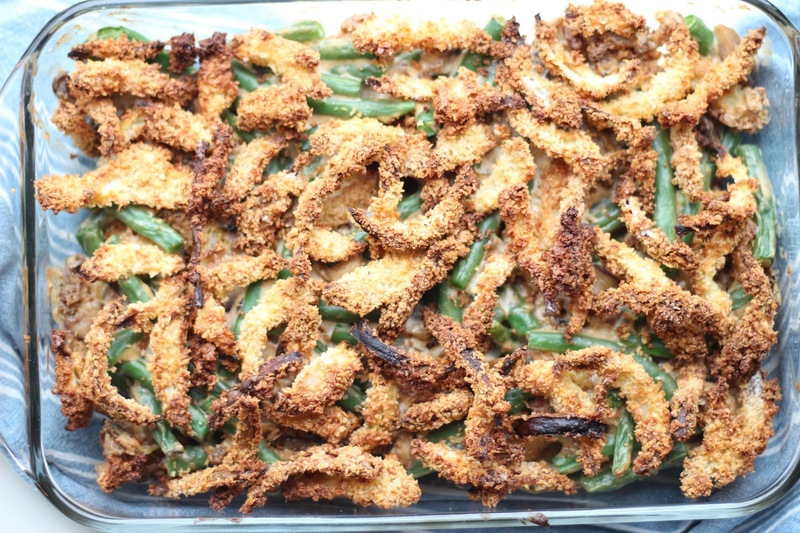 Green bean casserole dish is a staple thanksgiving dinner dish and it's one of my favourites! This recipe was amazing because everything was done from scratch and thats why I had such a fun time putting it together on thanksgiving. And anyways who doesn't love a dish based entirely on green beans? They are honestly one of my favourite green vegetables and they are so quick to make always, whether it be in lots of butter and garlic or in an asian style in soy sauce and sesame oil. Back to this dish, the original recipe didn't have many spices, just salt and pepper, but having an Indian background this non-spice situation was just a no go for me. I had to spice it up a bit! So in the creamy mushroom sauce I added some cayenne pepper and garlic powder which gave it the little extra jump! 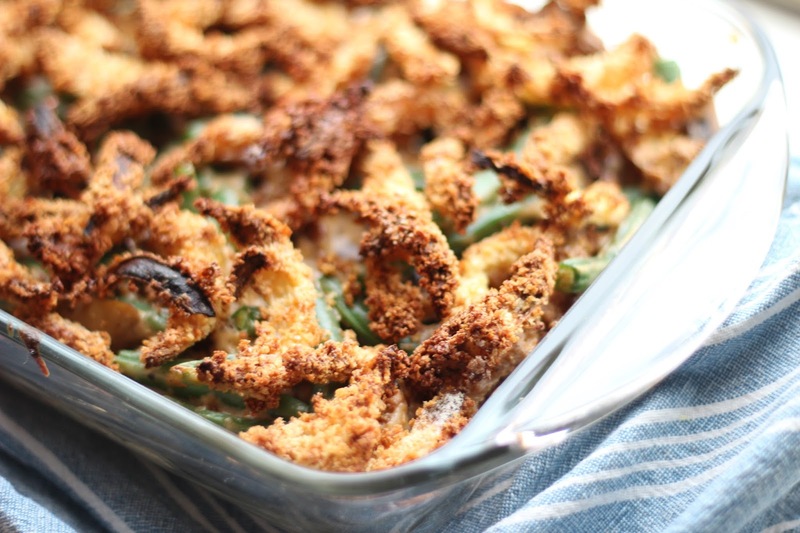 For our american readers that still have thanksgiving coming up I highly recommend giving this green bean casserole dish a try! 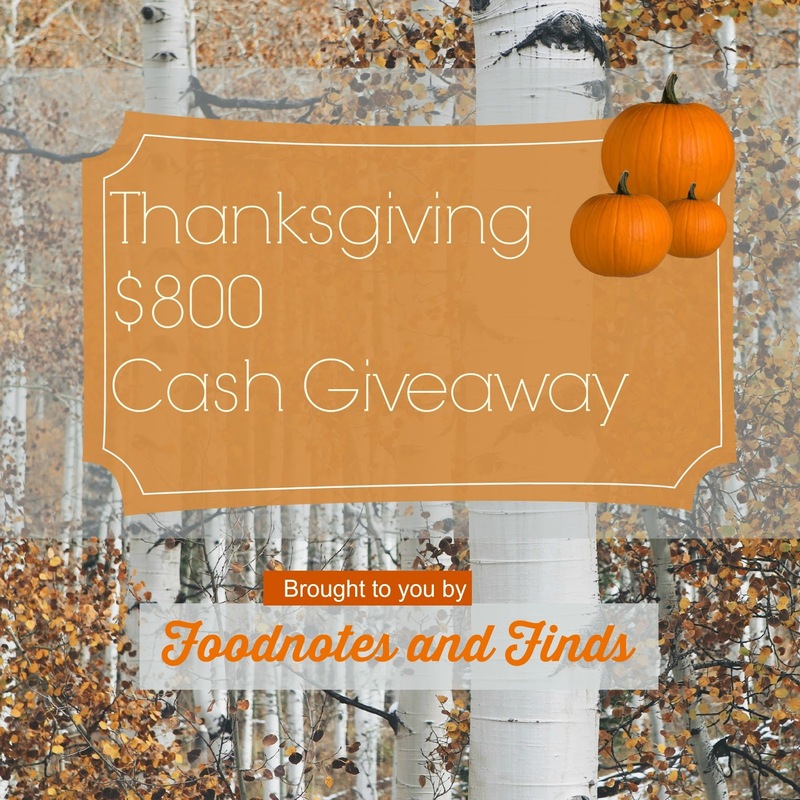 On that note, with the thanksgiving theme and to show appreciation of our readers, we have teamed up with a group of bloggers for a Thanksgiving Giveaway! We truly appreciate our old readers that have stuck with us through our hiatus and now re-launch. 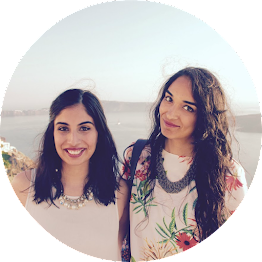 We would also like to thank our new readers for your dedication to our blog and your lovely comments! a Rafflecopter giveaway Terms & Conditions: This giveaway opens on 10/25/15 and ends on 11/25/15. It's open worldwide, void where prohibited. There will be two (2) winners of $400 USD which will be paid via PayPal, or gift card of winners choice. Winners must be 21 years or older to win. Winners must complete all entries to be entered to win. Full Lives Reviews will choose a winner no later than 11/30/15 via random.org. The entries will be verified and the winners will be contacted via email. The winners have 48 hours to respond and claim prize. If the winner doesn't claim prize within 48 hours their prize will be forfeit and a new winner will be chosen. By entering this giveaway you are abiding by all laws and regulations in your country. This looks delicious! 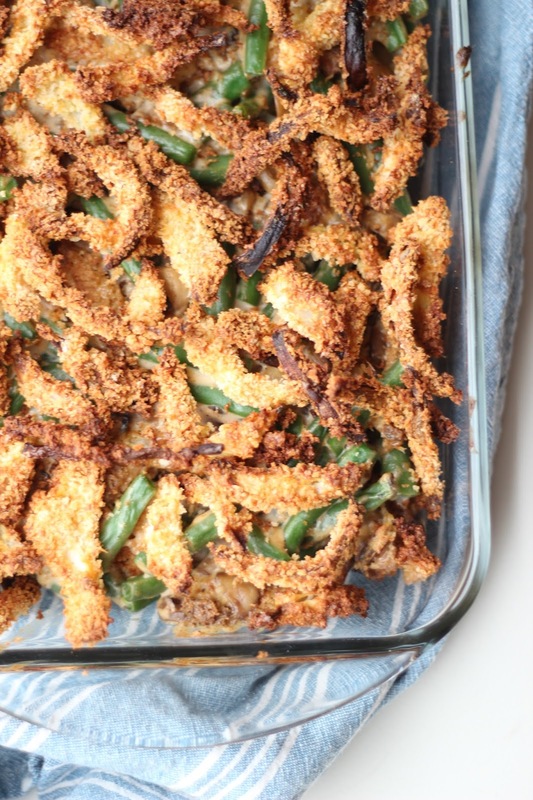 I'm going to have to try your recipe because every time I make green bean casserole it never looks this good! 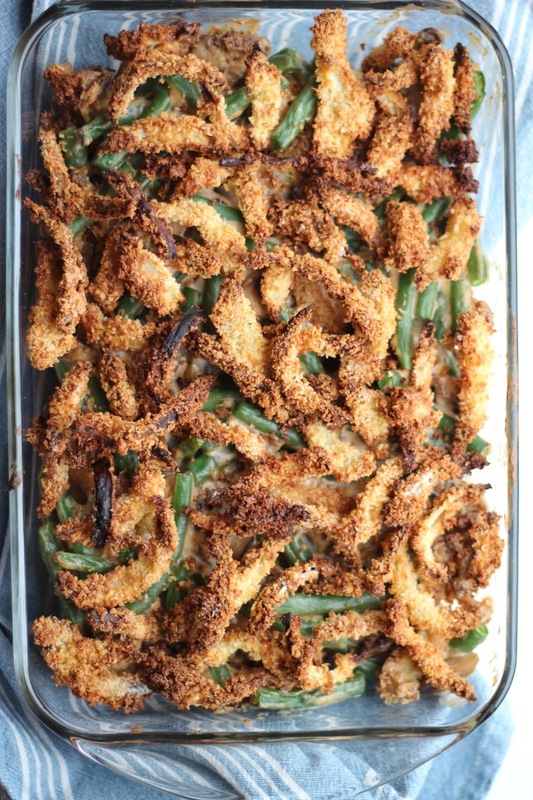 Green Bean Casserole is my favorite Thanksgiving dish! I can't wait to see your version this year! That casserole look delicious. I wish I knew how to cook. I am a terrible cook but honestly this inspires me to make this. your photography is absolutely divine as well! Keep it up - I love it! 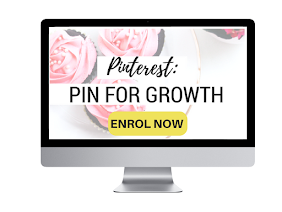 This recipe looks delicious and super easy to make! I'm a huge fan of green bean casserole! yum that's one of my favorites for Thanksgiving! I am thankful for my husband! He's been supportive with me going back to school for just two semesters. It has meant so much to me. I'm thankful for my family (including my dogs of course)! They're pretty spectacular!